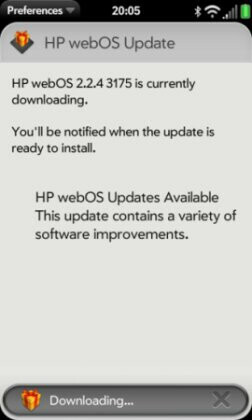 It’s hard to imagine how many units of the HP Pre 3 are in existence throughout the world, but nevertheless, those fortunate enough to own a piece of webOS history are being treated to a rare software update. 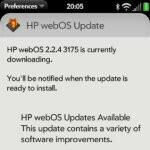 Updating the handset to webOS 2.2.4, the maintenance update brings nothing more than some of the customary bug fixes to improve its usability. From the sound of it, the new update sizes up at 29MB for European Pre 3 owners, 10MB for the AT&T capable one, and 9MB for those who managed to scoop the Verizon one. Also included in the list for the update, are those who sport the unlocked version of the GSM Palm Pre 2. I remember when I wanted this phone! Oh man that was funny. I was all in on HP and WeBOS. It does seem like a lifetime ago, huh? I still want a Pre 3!